Steven Barile and the team at Conductive Labs have created a new multi-part polyphonic arpeggiator which has been designed to fit between your controllers and synthesisers, playing notes and keeping your “oscillators singing”. What the introductory video below to learn more about the design, features and specifications of the NDLR witches this week launched by Kickstarter to raise the $40,000 it requires to go into production. 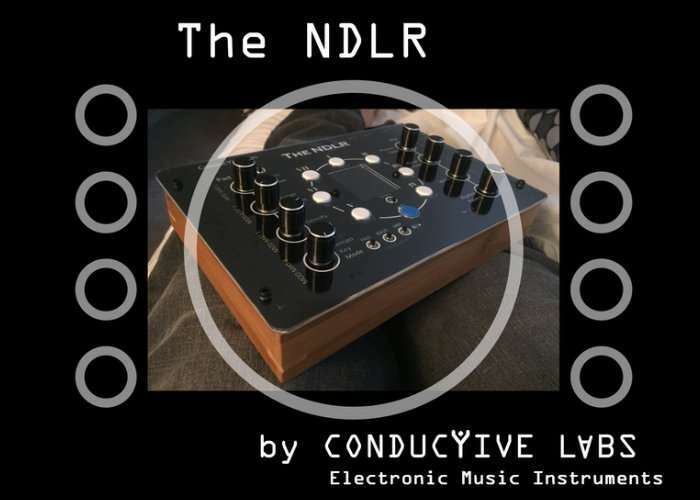 The NDLR is for anybody who loves making music but finds themselves staring at their keyboards not knowing what to play. It is a new MIDI device that defines a new place in your synth studio. It fits between your sequencer and keyboard controllers and your sound modules. It keeps your oscillators busy by playing sequences of notes over several MIDI channels so you can keep your fingers busy tweaking patches and twisting knobs! The initial idea: multiple synthesizers playing notes and chord changes at the same time, without a computer in the way. The initial idea evolved into playing up to four parts: a drone note, bass line, pad notes, and a motif sequence, simultaneously. • a bass line to one synth. • an arpeggiated sequence to your favorite lead synth. • chord notes of a pad to up to four synthesizers by using interleaved poly-chaining. • a drone note targeting those exotic evolving synths. • a MIDI pass-through from your favorite external sequencer or keyboard controller and it will be automatically transposed from “C” into the current chord notes. A ring of seven buttons enables playing any chord degree directly. When shifted, the same buttons allow you to pick chord types: triads, 7ths, 9ths, and suspensions, etc. The sonorities of these chords, major, minor, diminished… are automatically selected based on the chord degree and the key and mode chosen. All the above mentioned technical details melt away while playing The NDLR. But we quickly realized while developing those features that keeping songs fresh with ever changing patterns and chord progressions is vital. The chord degree and chord type can also be selected externally by a sequencer. The notes played by the sequencer become the root notes of the chords that The NDLR plays.